You can apply for any of the following. Our aim is to find you work which matches your skills, experience and expectations from the information discussed during your registration. We will keep you informed every step of the way from ‘Beginning to End’. We also aim to provide a relaxed and friendly environment in which to welcome you to Alfred. How do you register with Alfred? 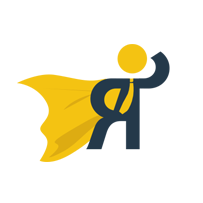 By sending your CV in a word document, we can immediately upload your details straight into our database and match they against our current vacancies. We will reply acknowledging your email within 2 working days. 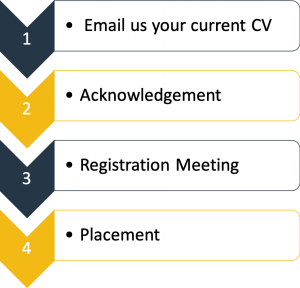 When we have read your CV, we will contact you again to arrange either a teleconference or face-to-face meeting to complete your registration. Before this meeting takes place, we will be unable to place you with a vacancy. This is your opportunity to discuss the type of work you are looking for and for us to assess your suitability for our current vacancies. Please note: For us to register you, you will need to provide proof of address i.e Utility Bill, Tenancy Agreement, Bank Statement. We then find you a placement which matches your skills, experience and expectations from the information discussed during your registration.